There's always so many opportunities when it comes to extra-curricular activities. 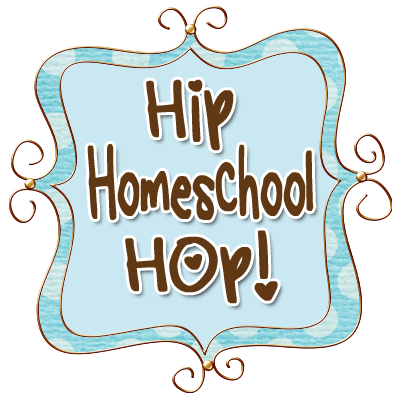 We are involved in a really active home school support group. There are: field trips, co-op classes, field day, science fair, home school days, music lessons, art lessons, sports, swim practice, clubs, competitions, etc., just to name a few. I have to admit it's overwhelming. Growing up, we didn't have a lot of money to participate in extra-curricular activities in school. So, I choose wisely things I participated in. I saw other things people were doing and could easily feel left out. (Didn't we all feel that way as teenagers?) Anyway, sometimes even now I get those same feelings when it comes to my own children. "Are we participating in enough things? Are their lives enriched enough? Do they have enough friends? Maybe something is wrong with me/us, because we don't participate in more things. How does everyone else do it? Maybe we do too much." This has been something I've been thinking about for a while, without an answer that didn't produce guilt or criticism. It wasn't until I started using the Apologia planner, did I start thinking about things differently. The first step in planning is prayer, which if we were really honest, we probably skip right over. After prayer, make family priorities. Family priorities are the things that you think are important for YOUR family. That's really important. Anything that doesn't fit into your priorities is just not for you. No matter if all your friends are doing it. If all your friends jumped over a cliff, would you do it, too? When I get that old feeling of...is it enough? I think back to my priorities and process our activity level through those. Every family's priorities are different. We need to realize that and not pressure others or criticize them because of it. Service- We want our children to learn to serve others by watching us and participating in opportunities in our local community. Music- We want each of our kids' to learn an instrument. Well-run home- Whether we meet this one might be up for debate, but it's a priority that our house is well-kept. We need to have time to do our daily chores, make homemade meals, have a garden, take care of our pets, teach our kids good manners, and teach them basic life skills. This one is hard to keep a priority, if we have too many outside activities. We all suffer emotionally if our space is messy or we have to dig through piles of clean laundry to find clothes or have to eat convenience foods/fast food because we are too busy. Since we rotate the church meetings and play dates in our home, this is very important. Down time- Everyone of us needs down time in a familiar environment. That time where we can work on whatever our hearts' desire. In our family it can be any number of things: cooking/baking, music practice, blogging, origami, arts and crafts, writing stories. 2 solid days at home without any outside activity- This is a new one for us this coming school year. Now that we are a 2-car family, there are less limitations on what we can participate in. We need some kind of boundary/priority to help us from easily getting in over our heads. I have already moved the kids' music lessons back to back on the same day. So, anything else will have to fit into that day or the other 2 days we have left for activities. I'm really excited about this one, because it really is an answer to prayer for how to wade through the overwhelming amount of activities. I do not plan on filling up the 3 days to the point of exhaustion either. These are just some of our priorities and how freeing it is to think these things through. I must point out one more thing...the most important, in my opinion. We can give our kids' every opportunity in the world, but if we don't allow time in our lives for spiritual disciplines, everything else we do is worth nothing! I need time to be home so I can practice these disciplines and so that I can encourage my children to do the same. Am I perfect in this? NO, not anywhere near it. I won't give up though...because it's a priority! It's life and breath to me. I cannot do everything that is required of me as a mother, wife, friend, teacher, etc. on my strength alone. Our children can't either.